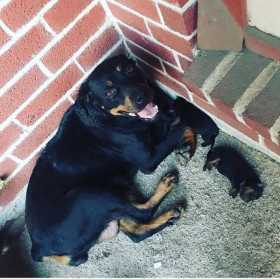 Adult black and tan rottweiler. Has a small patch of white fur on chest and a cropped tail. Last seen wearing a grey flea collar.